DAVID LE/Staff photo. 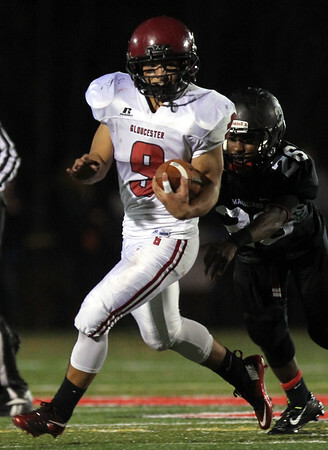 Marblehead cornerback Eric Brown (26) tries to catch up to Gloucester junior Christian Sanfilippo (9). 11/6/15.